Indian Motorcycle, America’s first motorcycle company, recently announced news of its newest addition to their 2016 lineup. The Indian Scout Sixty is an exciting new design featured by the legendary brand. The Scout Sixty is perfectly balanced and lightweight while being richly steeped in the Indian Heritage. This premium bike is reasonably priced, appealing to a broad segment of new riders, making it a perfect place to begin or continue your Indian journey. Indian Motorcycle was founded in 1901 and has won the hearts of motorcyclists around the world. Additionally, it has earned the distinction as being one of America’s most legendary brands through unrivaled racing dominance, engineering prowess and countless innovations and industry firsts. 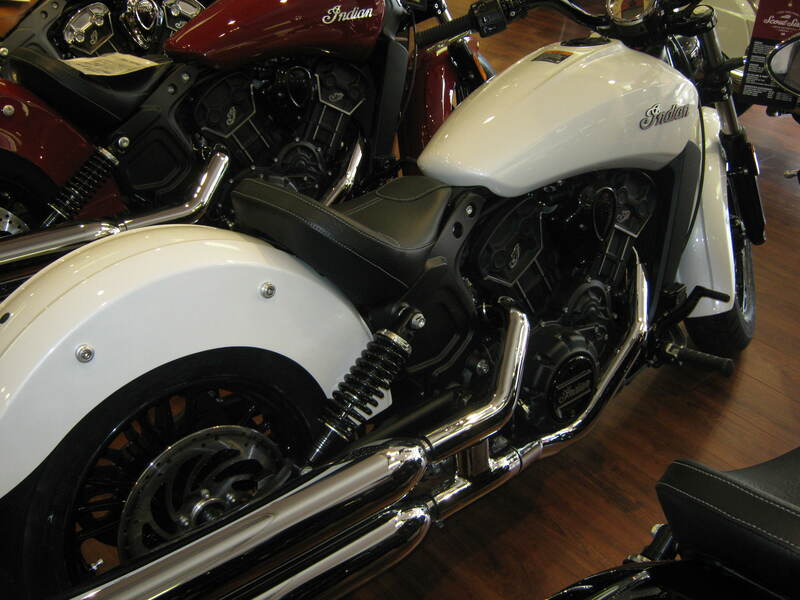 In 2015, Indian reintroduced the Scout to rave reviews from critics and riders. The Scout is undoubtedly the most historic motorcycle in history. It is the original sports bike. The Scout has always been about performance, and the model holds more patents than any other bike in the market. The 2015 Scout looks almost identical to the original design, but it features the latest and greatest technology available. The Indian Scout Sixty offers many of the same characteristics of the award-winning original Indian Scout and one of the most talked about motorcycles amongst novice and experienced riders. Honoring the true craftsmanship, reliability and legendary ability of the Indian Scout, the new Scout Sixty shares the identical chassis, suspension, brakes and core engine as well as a new 60 cubic inch engine. Featuring 78hp, the highest horsepower in class, and a dry weight of 542 pounds with a potent 65 ft./lbs. of linear torque. The Scout Sixty is available in Thunder Black starting at $8,999, with Indian Motorcycle Red and Pearl White color options starting at $9,299. Indian also is offering a series of accessories including seats, handlebars, and footpeg relocators to allow you to customize your ride. This bike can comfortably seat riders from 5 ft. 4 in. to 6 ft. 4 in! Additional, accessories such as saddlebags, wire wheels, and quick-release windscreens give owners so many options to personalize. The 2016 Scout Sixty is already en route, and on many dealer showrooms around the world. 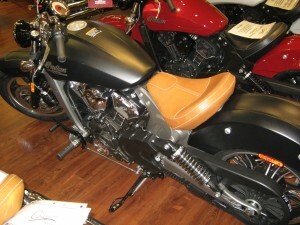 Chesapeake Cycles is excited to present this new model our customers. We are the only registered Indian dealership in the Annapolis area, and we have many available for you to test ride. Indian Motorcycle, a wholly-owned subsidiary of Polaris Industries Inc. In 2011, Polaris Industries purchased Indian Motorcycles and moved operations from North Carolina and merged them into their existing facilities in Minnesota and Iowa. For more information about the legendary Indian brand or the Scout Sixty, click here. Stop by Chesapeake Cycles and check out this beautiful piece of craftsmanship and take it out for a test ride today!